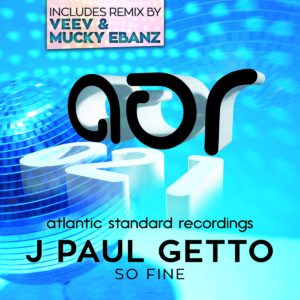 Atlantic Standard Recordings is very proud to present Boston’s J Paul Getto with his inaugural release on the label. With this release, he mines his own unique vein of sample heavy disco house, drawing inspiration from the already-impressive body of work created over a only a few short years. “So Fine” continues in that style and is a track with a sweet disco sample workout, chunky walking bass, and left turns that are layered with stabs and drums that hit with surgical precision. Veev & Mucky Ebanz turn in a remix with bouncy bass, snappy handclaps, and frenetic drums that all work together to bring the sample to full bloom.